This program runs on Adobe Flash and requires a computer or device with a USB port. These are the minimum system requirements for optimal performance: Microsoft Windows 7 or higher ONLY, 256 MB RAM (512 MB recommended), Screen resolution: 1024 x 768, and USB 1.1-compliant USB port. This product is not Mac compatible. 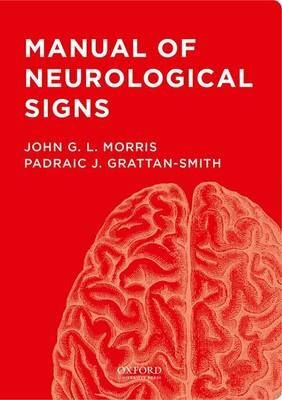 The Manual of Neurologic Signs comprises of nearly 1000 videos demonstrating a wide variety of neurological signs including features such as abnormal eye movements, reflex changes, speech impairment, and disorders of movement and gait. These are the signs that one might expect to see in patients in the wards and clinics of a major teaching hospital. They were filmed in the main by two neurologists, one adult the other pediatric, so patients of all ages are included. The videos were made over a period of about 25 years and some cases capture the changes in signs as a disease progresses over the years. The reader is invited to view the video as though she or he were in the room observing the features that are demonstrated. There is no commentary, so readers can form their own opinion of what is going on. In case they miss something, there is a full written description of each video. In addition to the videos, there is a description of the sign demonstrated, and a section on associated signs which should be looked for based in many cases on the anatomical features underlying the sign. In the Beware section, signs which might be confused with the one being demonstrated are discussed. There are extensive footnotes where historical aspects including the great clinicians of the past are discussed. Manual of Neurologic Signs provides a unique opportunity to expand one's clinical experience and enhance one's ability to elicit and recognize most of the common neurological signs, as well as a few rarities.